Franz Liszt’s life is the stuff of movies. He was arguably the greatest pianist in history, for many years he lived as a virtuoso performing all across Europe and having a few scandalous (for the period) love affairs in the process. Then at the height of his fame, he retired abruptly from the concert stage choosing to live in partial seclusion devoted to composition and finally taking lower orders in the Catholic Church, ending his life as an Abbé. Liszt was a tireless promoter of other composers, among them Wagner (especially during his long exile from Germany and its music scene), and Berlioz, as well as proselytizing styles from the past such as Bach’s sacred music and Gregorian chant. His operatic transcriptions were a unique way of promoting new music and his piano reductions of Beethoven symphonies brought these works to places where they might not have been heard. Although he was a target in the so-called “War of the Romantics” of the 19th century, he was not a active participant and was gracious when meeting with Brahms, much more so than Brahms was towards him. His wrote some of the most technically demanding music for the piano, innovative music for orchestra, and spiritually sublime music for organ and choir. His influence was huge, however, for decades his impact as a composer has been undervalued, if not ignored entirely. As Brendel indicates, acknowledgement of Liszt’s influence on his contemporaries and 20th century composers has been late in coming, but was not insignificant. 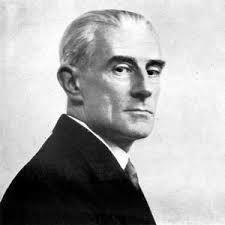 Liszt experimented with using non-tonal elements in his compositions, whole-tone scales, even a twelve tone row (although not in the manner of Schoenberg), and anticipated much in Debussy, Ravel and others. Without Liszt, Chopin’s, or Debussy’s or Richard Wagner’s music might sound very different, and it was through Debussy and Wagner that the music of the 20th century was born. 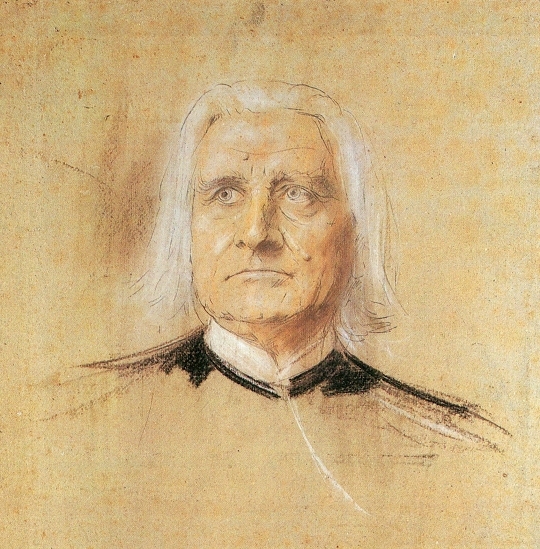 Liszt pioneered in rendering music an art form connected to literature, painting, and narration, This is particularly the case with respect to the connection between spirituality and religion and music. During the 19th century the idea of symbolism in art was introduced. This idea was often expressed by writers and philosophers such as Arthur Schopenhauer, an extremely influential thinker of the period. “Everything can only be understood symbolically, and everywhere something else is hidden behind it.” (Johann Wolfgang von Goethe, in a letter to the chancellor Friedrich von Müller, 1821). Goethe was writing prior to and Mahler after Liszt’s creation of the “tone poem” or symphonic form which used symbols to an exceeding degree and influenced composers from Wagner and Mahler to Richard Strauss. Certain specific symbols such as sighs, cries, or night, the Christian cross – all found their way into the music of Mahler and other composers after Liszt introduced them in his symphonic poems. Liszt’s Dante Symphony and Faust Symphony both drew on literary works: Goethe’s Faust and Dante’s Inferno, and both see Liszt dealing with the idea of Satan and Redemption. 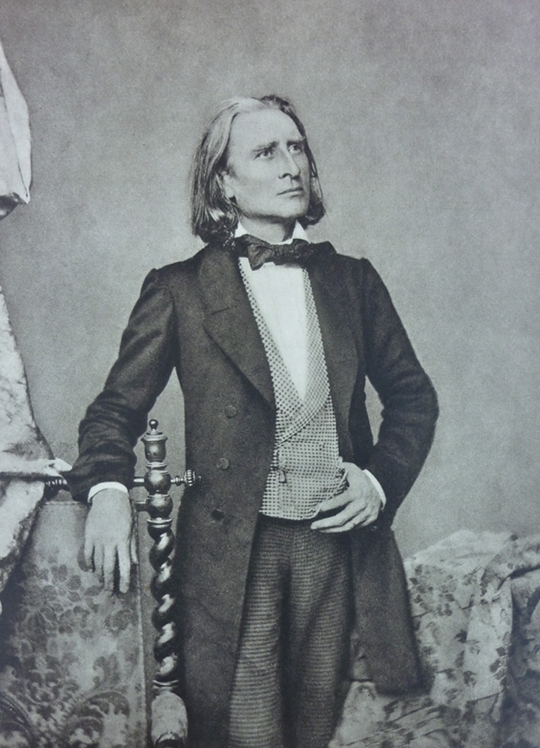 Liszt met with Berlioz in the 1840s prior to Berlioz writing Damnation of Faust, and both discussed the ideas in the Faust legend. Liszt first wrote the Dante Sonata for piano and later expanded the material into the orchestral work. 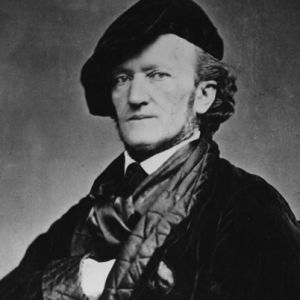 The musical relationship shared by Liszt and Richard Wagner during much of their lives was almost as complex as it was important. The concept of nationalism in the 19th century was different from our own. Liszt’s idea of nationalism was both more universal and cosmopolitan, which is actually the opposite of how we approach the idea. Some of this might be a product of his own biography. Liszt was born in Raiding, Hungary which in 1811 was populated mostly by Germans. When he was twelve years old he left for Paris, and twelve years after that he began a series of sojourns through Switzerland and Italy which lasted nearly five years. Despite being born in Hungary, Liszt was ignorant of that language, German being his native tongue. But French was the language he took up after moving to Paris, and was the language he preferred for the rest of his life. This is all to say that any idea of nationalism concerning Liszt is problematic: he born in an area of Hungary populated mostly by Germans, spoke French for most of his life, and lived a nomadic lifestyle for long periods of time, all of which lent to Liszt and his music a more cosmopolitan aspect. Franz Liszt wrote in all genres of music, piano music , choral, orchestra, lieder, chamber, even opera. For decades Liszt’s compositions were shunned as the work of a melodramatic hack – but for some time now he and his music has undergone a positive reappraisal, and one which has been long overdue. Arnold, Ben. “Wagner and Liszt: Borrowings, Thefts, and Assimilations Before 1860.” Journal of the American Liszt Society 30 (1991): 3–20. Biget, Michelle. “Etude comparée du geste pianistique chez Liszt et chez Debussy.” In Actes du Colloque international Franz Liszt (1811–1886). Tenu dans le cadre d’l’Université de Paris IV–Sorbonne, 27–30 octobre 1986, ed. Serge Gut; entire triple issue of La Revue musicale nos. 405–406–407 (1987), pp. 155–163. Birkin, Kenneth. 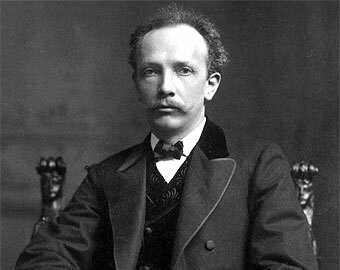 “‘Ich dirigiere mit Vergnügen…’ Liszt’s Influence on Richard Strauss—Strauss Conducts Franz Liszt.” Studia Musicologica 43 (2002): 73–92. Botstein, Leon. “What Makes Franz Liszt Still Important?”, The Public Domain Review, http://publicdomainreview.org/2011/10/17/what-makes-franz-liszt-still-important/ (accessed June 5, 2015). Burger, Ernst. Franz Liszt: A Chronicle of His Life in Pictures and Documents, trans. Stewart Spencer; foreword by Alfred Brendel. Princeton, NJ: Princeton University Press, 1989. Dahlhaus, Carl. 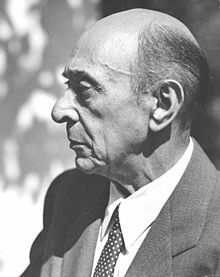 “Liszt, Schönberg und die große Form. Das Prinzip der Mehrsätzigkeit in der Einsätzigkeit.” Die Musikforschung 41 (1988): 202–213. Floros, Constantin. 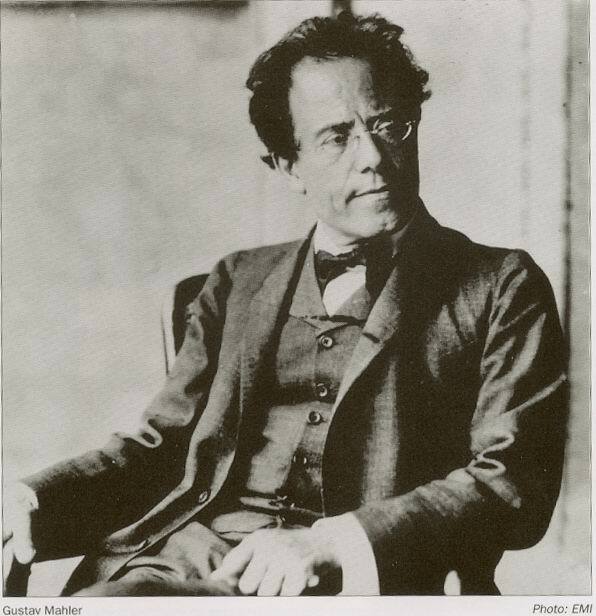 Gustav Mahler and the Symphony of the 19th Century. Frankfurt am Main: PL Academic Research, Imprint of Peter Lang GmbH, 2014. Gibbs, Christopher H, and Dana A. Gooley. Franz Liszt and His World. Princeton: Princeton University Press, 2006. Gut, Serge. “Liszt et Debussy: Comparaison stylistique.” Referate des 2. In Europäischen Liszt-Symposions: Eisenstadt 1978, ed. Serge Gut. Liszt-Studien, 2. Munich and Salzburg: Emil Katzbichler, 1981, pp. 63–77. Liszt, Franz, and Janita R. Hall-Swadley. The Collected Writings of Franz Liszt: Volume 3, Part 1. eBook 2014. Saffle, Michael. Franz Liszt: A Research and information Guide. New York: Routledge, 2009. Williamson, John. “Liszt, Mahler and the Chorale.” Proceedings of the Royal Music Association 108 (1981–1982): 115–125. Zychowie, James L. “Liszt and Mahler: Perspectives on a Difficult Relationship.” Journal of the American Liszt Society 36 (1994): 1–18.